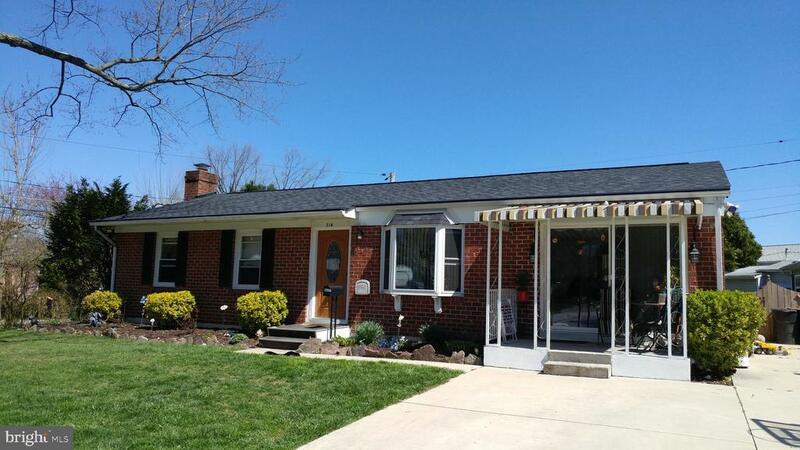 All brick remodeled rancher with updates galore including new roof, heating& cooling system, kitchen, bathrooms, carpet, paint, doors, flooring, recessed lighting, and 2 car extended driveway. This home is convenientlylocated across from a cul-de-sac and has many desirable amenities including a beautiful in ground swimming pool, deck, covered patio, covered porch, privacy fence, and large shed. Offers contingent on Seller closing on new house! Directions: 795 to Franklin Blvd...cross over Reisterstown Road to 2nd left on Lindellen, 1st left on Conewood to 2nd right on Greenview. Courtesy of Mr. Lister Realty, Inc.